Dramatic 360 mountain and valley views available from this lovely lot at end of quiet cul-de-sac. Beautiful grassy area used to be pastureland, great for animals, yard. Easy to excavate for building. Your in-house use well, available by application to the Division of Water resources, will supply delicious water from one of the largest aquifers on the continent. 1.73 acre lot. 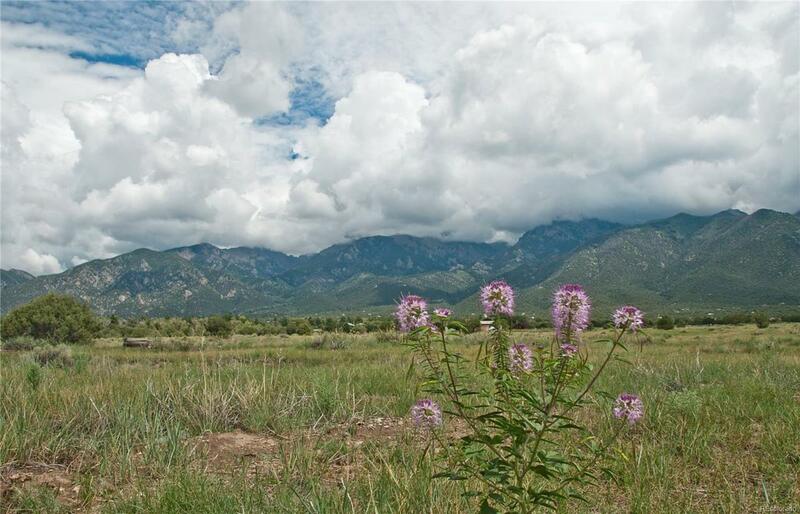 Views of of the Sangre de Cristo south to Mount Blanca. Ready access to town, about 1/3 mile to paved road. Solar gain readily available. Property requires septic. Crestone and the Baca Grande Subdivision have excellent social networks, organic and local grocers and restaurants, outdoor and wilderness recreation, and more than 28 spiritual centers: Carmelite, Buddhist, Hindu and others. © 2019 Information and Real Estate Services, LLC. IDX information is provided exclusively for consumers' personal, non-commercial use and may not be used for any purpose other than to identify prospective properties consumers may be interested in purchasing. Information is deemed reliable but is not guaranteed accurate by the MLS or 8z Real Estate. Data last updated: 2019-04-24T10:37:55.647.